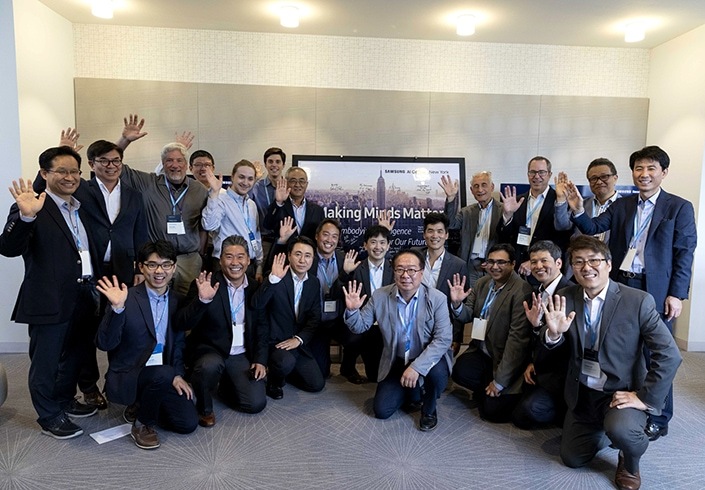 Its great news that Samsung’s sixth Research Center focused on Artificial Intelligence (AI) has been inaugurated on September 7, 2018, in New York City. Let’s take a look into the future implications of this initiative and what we can expect from this new research center. 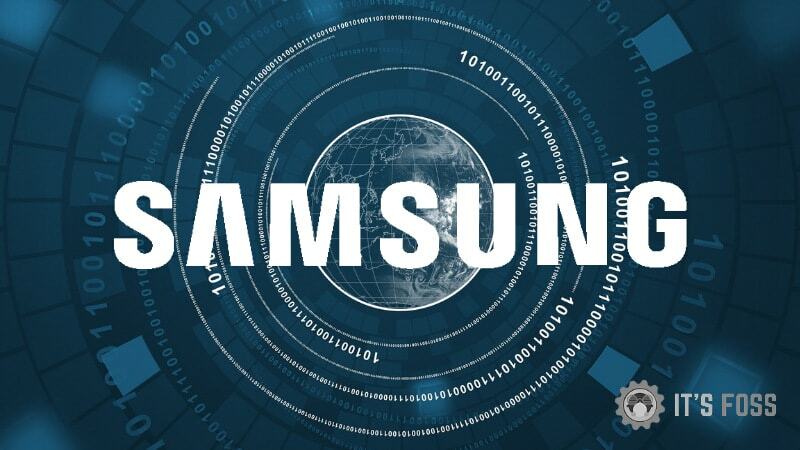 Samsung has been involved with AI research for quite some time and now has a total of six dedicated centers with the latest one being at New York City. This new center has two leading AI Innovators: Dr. Daniel D. Lee and Dr. H. Sebastian Seung. You can read more about their story and amazing achievements here. It is also interesting to note that both of them have worked earlier as researchers at Bell Labs (where the C language and UNIX were first developed). It has been reported that currently, this particular AI hub will be focused primarily on Robotics, according to Samsung’s own press release. What sort of challenges can Samsung solve in Robotics? Or can we say, with Robotics? First, let’s focus on Samsung’s product line that is directly related to AI. 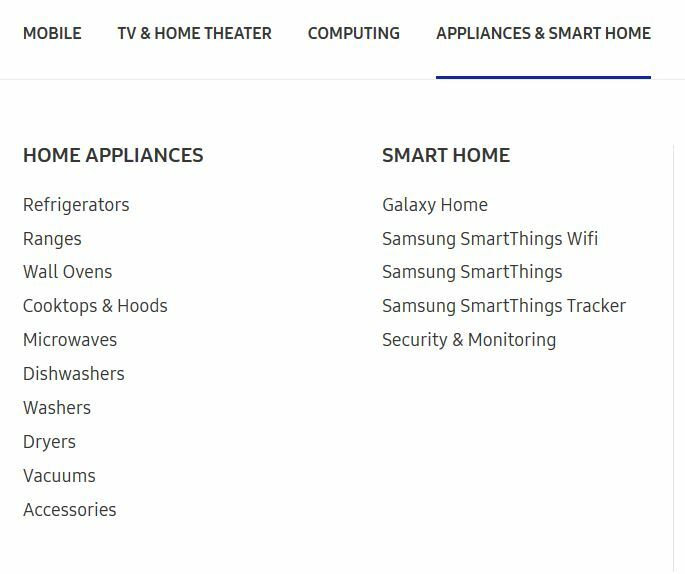 We browsed through many of Samsung’s websites region wise and found that the USA site specifically has a section named “APPLIANCES & SMART HOME”. All of Samsung’s smart devices would be benefited with AI research. But how could Robotics affect this range of products? Two years ago, Samsung unveiled a prototype of an assistant bot called Otto. They could probably be bringing up a heavily upgraded version of the same. Maybe it could move around your home to serve you better? The following video is a perfect example of what sort of challenges we are dealing with, particularly in laundry applications. Samsung’s recent initiative could radically change the way such household appliances work. Namely, air conditioners, refrigerators, washing machines, dishwashers and more. Laundroid leverages neural networks and deep learning to identify and handle clothing. It was, however, unable to deliver, when a random T-shirt was given to it for folding. Initiatives like Samsung’s can greatly contribute to solving such challenges. But what about the IP aspects? To what extent does Samsung follow an Open Source Approach? To know more about it, we headed to the GitHub page of Samsung and were happy to find SmartThings in their repository. SmartThings falls under Smart Home (which we just mentioned). These devices from Samsung are designed to make the consumer’s digital life much easier. Laundroid has its own initiative called Developers Plan, that invites developers to collaborate. Samsung has a similar initiative called Smart Things Developers that invites developers to get involved. We believe the new AI research center can greatly empower such initiatives. What are the other aspects of Robotics that can be explored? The most urgent need of attention we think is towards Healthcare, where there are so many challenges that need to be faced as we have previously discussed how Open Source AI can boost Healthcare. One such challenge is the need for greater accuracy. We know Samsung already has a division dedicated to the same and even has a separate portal for it, but we still believe that apart from Samsung’s most popular line of products that they are most known for, Healthcare should also be among the top priorities. We are really hopeful about this because both of the scientists who joined at the AI center have been associated earlier with research inspired from Neuroscience. What do you think of this recent initiative by Samsung? What other areas, applications or challenges do you think Samsung should address? Share with us in the comments section below. Call me a skeptic but after the Samsung TV and devices listening to your conversations without consent and the company’s arrogant answer to not carry important conversations at home, I can’t see owning a Samsung device ever again. Now if they opened a fork to the open community world that would be great. I think you’re blaming Samsung for what they and everyone else is or will soon be doing. I recommend that you get rid of your cell phone, close your social media accounts, and toss your personal assistants like Siri and Alexa in the trash. Put some tape over the camera lens and disable your microphone. Else you will have no privacy. An ad blocker for Apple’s Safari browser has been reported to be recording your browsing history and sending the information to a server in China. Maybe there is no escape.